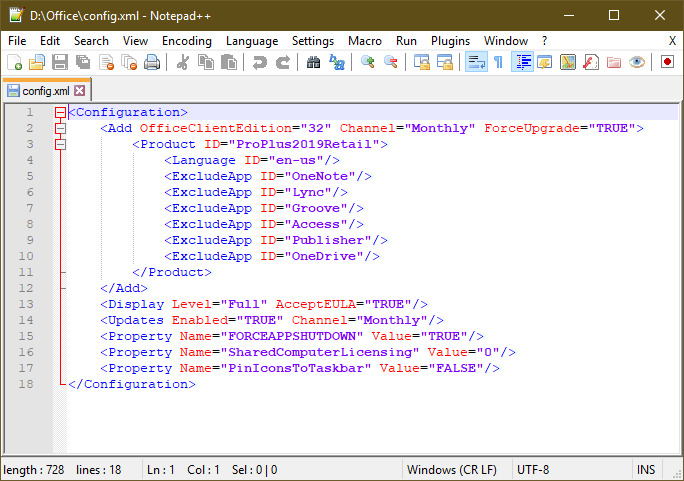 @DR_ADHAM If I want to install Office 365 ProPlus which HTML code should I use ? @Akaneharuka Did you run the setup with /download first ? What the pop up say? Could you please show me the .img file you're intending to install ? So it would be easier to guide you in the right path. You didn't add the source path in your config file as I described. As a consequence, the program tried to download the files online but as I see you disabled your network connection. 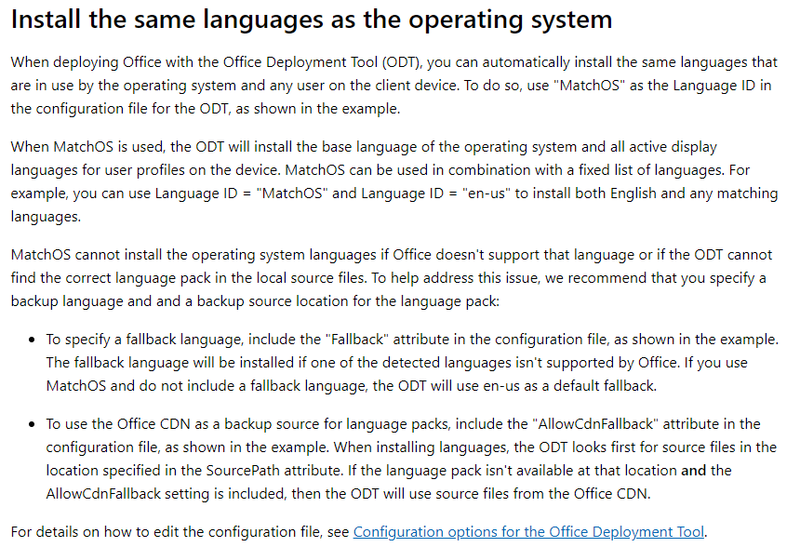 To automatically install the same languages as the operating system, use "MatchOS" as the Language ID,MatchOS cannot install the operating system languages if Office doesn't support that language or if the ODT cannot find the correct language pack in the local source files. To help address this issue, I recommend that you specify a backup language and a backup source location for the language pack. To do so, use the Fallback attribute and AllowCdnFallBack attribute. The above code install Office 365 ProPlus from the latest version from CDN network with all applications. If you want to exclude some apps you can modify it as per your requirement. This's online not offline install, then her lang as I see will be "ja-jp". She can use Language ID = "MatchOS" and Language ID = "en-us" to install both English and any matching languages. You cannot use two language attributes in one config file, instead Fallback attribute had to be used with MatchOS for language ID. When using the ODT, you can automatically install the Office language that matches the display language of your operating system. To do so, use Language ID="MatchOS" in the configuration file. However,After installing Office, you can use the ODT to install additional language packs for Office. To do so, follow the steps for installing Office with the ODT, but use a new configuration file that uses “LanguagePack” as the Product ID and that indicates which languages to add. To Install office in any language, we just have to change the corresponding Language ID in the config file. the configuration file installs the French and Japanese language packs. After running the command, go to the download location you defined in the configuration file and look for an Office folder with the appropriate files in it. Download the installation files for Office 365 ProPlus from a local source . 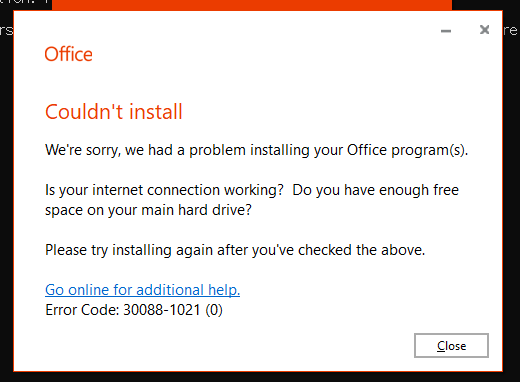 Now , to download from a local source, follow the steps for downloading Office with the ODT, but include in your configuration file the download path, which defines where the installation files are downloaded from. I followed the steps but I'm not able to uninstall the products I want to remove. What could be wrong? Please help me! Did you run the ODT exe ? Is the version installed 32 bit as mentioned in the config file? Was the setup.exe and config file in the same folder? You mean by ODT, the exe file from Microsoft?, if yes then yes. Yes both in the same folder. 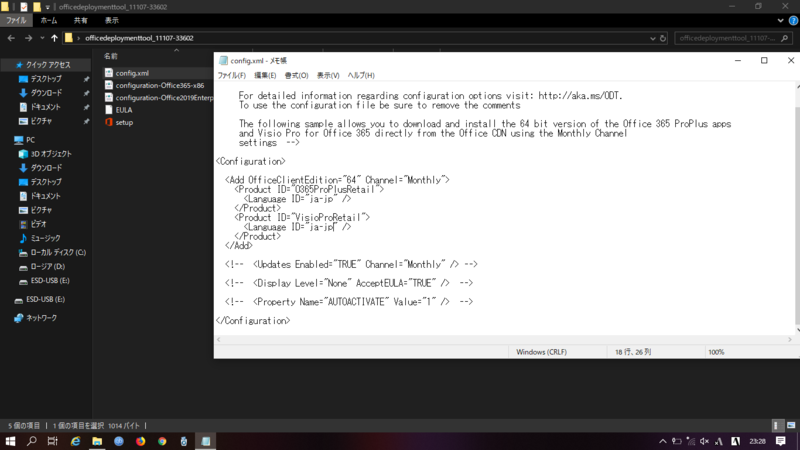 Run the ODT < you will have 2 files < delete the sample config files < now create a folder on the desktop , name it office2019 < now transfer the setup.exe and your config file in it. The removal of selective apps should start now. 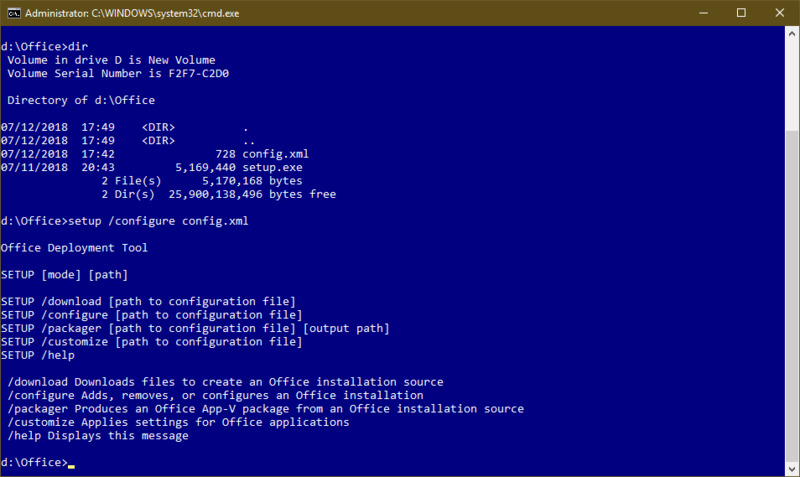 Run the ODT < you will have ﻿2 files < delete t﻿he samp﻿le ﻿config files < now create a folder on the desktop , name it office2019 ﻿< now transfer the setup.exe and your config file in it. Thank you. That worked very well! But I wonder why it didn't work first when I had the folder in D drive, I didn't change anything just moved the folder to the desktop! Thanks once more for your help, really appreciated.